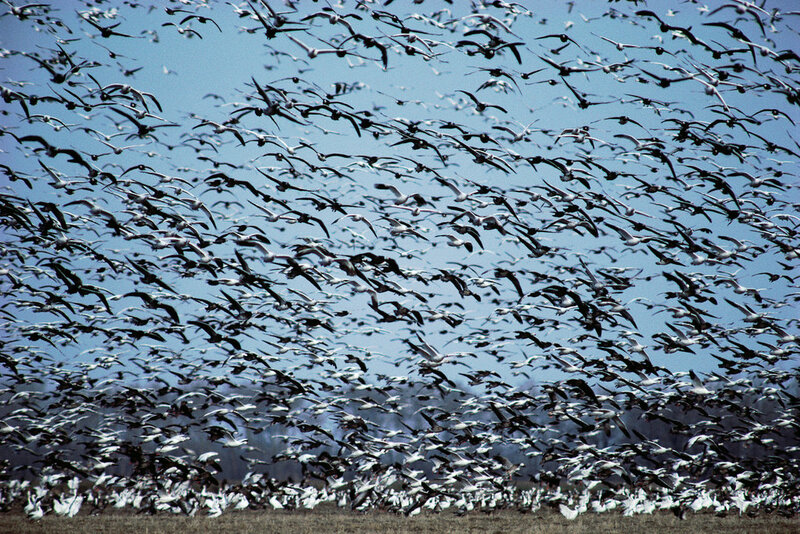 Every spring, migratory birds flood back to where they breed. That migratory behavior is accompanied by some human behavior: "In English-language Wikipedia, the page views for migratory species like the indigo bunting or the Baltimore oriole tend to peak in the spring when those birds arrive in the United States on their breeding grounds." John Mittermeier, a conservation biologist at the University of Oxford in England. "It's this incredible thing where you can see in people's online behavior and how they're using Wikipedia, the fingerprints of the arrival of the birds." And not just birds. Mittermeier and his team surveyed nearly two-and-a-half billion Wikipedia page views, for 32 thousand species, across 245 languages, and also saw variable search rates for insects, ferns, horsetails and flowering plants. And the online searches for birds, at least, seemed to correlate with real-world data on migration times. Mittermeier says search data could be useful to conservation biologists. "In areas that are hard for biologists to survey or reach, maybe we could be using online data like Wikipedia data to detect migration patterns or flowering seasons or things like that." He was also encouraged by the search results: "I think there's a concern among conservationists that people are losing touch with the natural world and that they're not interacting with native species anymore. And so in that context to see that actually people's Wikipedia behavior is strongly corresponding to these phenological patterns in nature was really exciting and quite unexpected for me."